UICA members receive free admission to the galleries, invitations to special members-only preview events, valuable discounts on UICA film screenings and merchandise, as well as perks at local businesses. Use our online form and pay with your card. Print a form and mail it with a check. At any level you will be fostering new forms of expression, promoting collaboration, and providing genuine experiences with contemporary art. Join or renew today to support UICA's exhibitions, programs, and events year-round. Corporate and Organizational Memberships also available. Please contact membership@uica.org for more information. Questions? 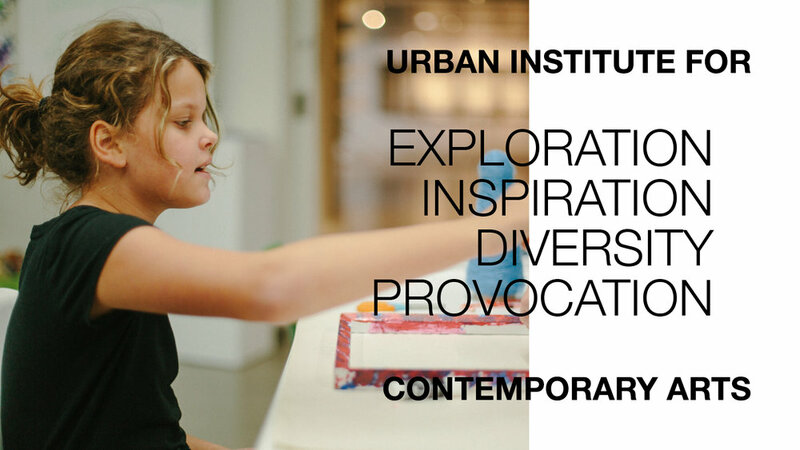 Email membership@uica.org, or call 616.454.7000. New! Add a guest all year long for just $20 a year at any level. Perfect for when you have visitors in town, or want to bring a friend or colleague with you, your guest that day will enjoy the same great UICA benefits as you. Looking for the best value? 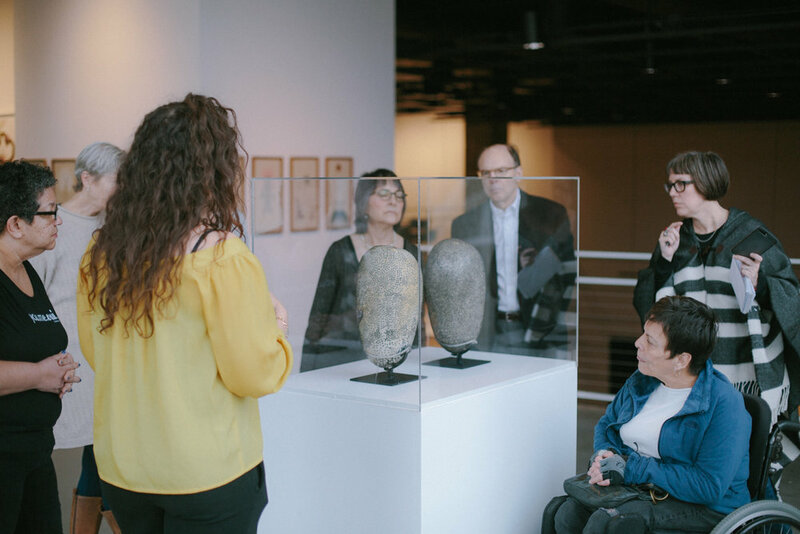 The Reciprocal level comes with four guest passes annually, and includes member benefits to over 1,000 institutions through our partnerships with the Mod/Co, Reciprocal Organization of Associated Museums and the North American Reciprocal Museum Association organizations. Are you a KCAD, FSU or GRCC Student? Learn more about your benefits with Student ID here. We offer a $15 discount for students, seniors (62+), artists and educators. Please register with your University email address or email your school ID, professional resume, business card, or a copy of your driver's license for verification to membership@uica.org. Membership benefits for two people in the same household. We offer a $10 discount for Senior (62+) Households for two members only. Please email your driver's licenses to membership@uica.org for verification. Membership benefits for your household PLUS benefits to Modern and Contemporary Museums all across the country, benefits to more than 1,000 Museums as part of the North American Reciprocal Museum Association and Reciprocal Organization of Associated Museums (NEW! ), plus 4 gallery guest passes annually. Reciprocal membership benefits, plus your name listed on the UICA website as a Cutting Edge Supporter and 20 gallery guest passes annually. Contemporary membership benefits, plus invitations to special UICA events and 20 gallery guest passes annually. Inventive level membership benefits plus a 20% discount on all UICA facility rentals and 20 gallery guest passes annually. Innovative level membership benefits, plus two Ultra Film Passes that allow free entry to all regular film screenings and 20 gallery guest passes annually. Visionary level membership benefits. 20 gallery guest passes annually, plus a private tour with introductions to artists installing their work in our galleries (advanced arrangements required), and a private film screening for you and your friends in our theatre (advanced arrangements required) . The full price of your membership is deductible to the extent allowed by federal law. The price of your membership minus $300 is deductible to the extent allowed by federal law. The price of your membership minus $900 is deductible to the extent allowed by federal law.